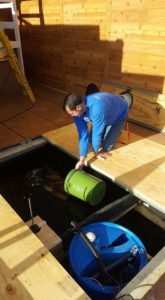 Local Aquaculture Company goes on the Rooftop to Stock Fish – 10,000 Lakes Aquaculture, Inc.
John Chalmers of 10,000 Lakes Aquaculture stocks fish on the WCCO rooftop. (Minneapolis, MN) It’s not your normal phone call, if you own an aquaculture company in rural Minnesota. John Chalmers, owner of 10,000 Lakes Aquaculture, received a call from Matt Allen of WCCO-TV. Matt is the project manager for an outdoor project that WCCO is calling their Minnecentric Experience. 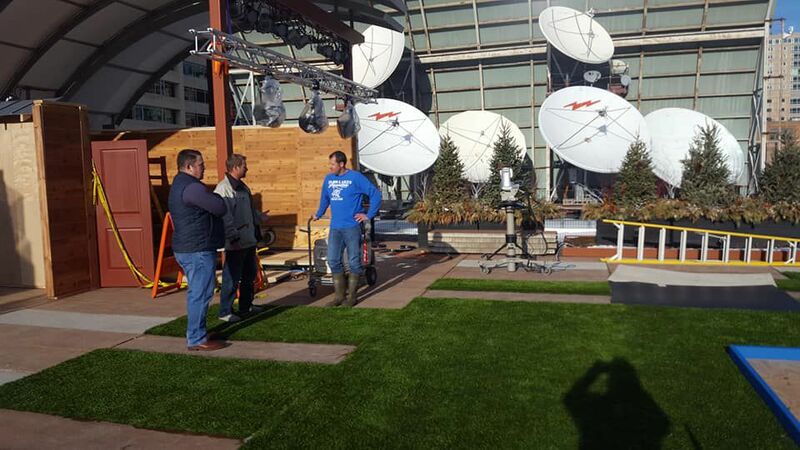 Matt asked John if he could stock fish in a tank on top of a rooftop, in winter, for something the television station wanted to do during Superbowl week in Minneapolis. After further emails and discussions plans were made to give it a try. 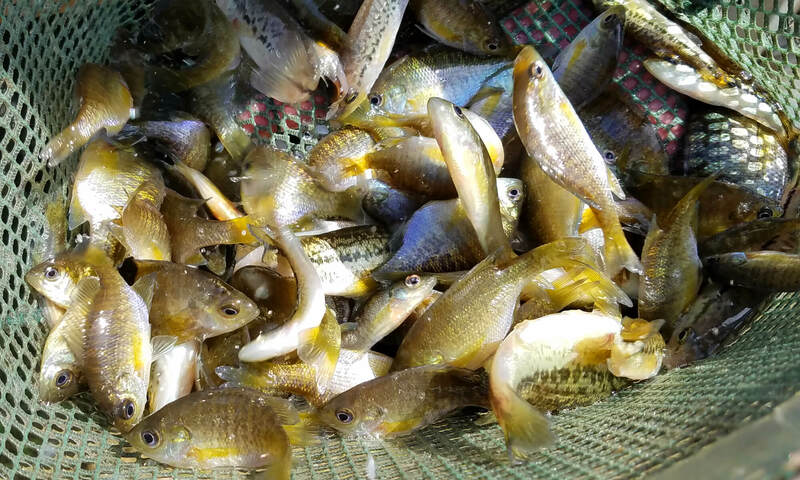 John started by stocking perch and bluegill in a 600 gallon tank that was three feet deep, and on top of WCCO’s Nicollet Mall studio. After the initial tests worked, it was time to bring in guests and start the true experience. LINK TO FULL NEWS STORY on Voice of Alexandria.